THC Bomb Auto is the all female autoflowering version of Bomb Seeds world renowned signature strain THC Bomb. 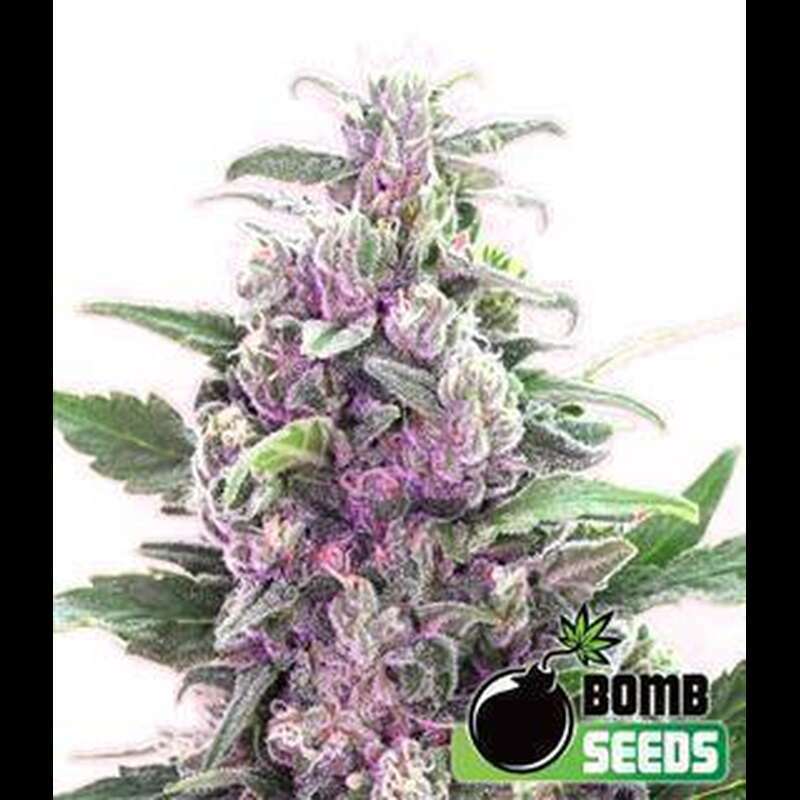 Celebrated as the ultimate all rounder (super high THC, massive yields and explosive growth) THC Bomb has been carefully crossed with their very own Auto Bomb to produce one of the most powerful and high yielding autoflowering strains available.Maintaining the most desirable characteristics from its mother, THC Bomb Auto is a fast finishing white strain offering significantly bigger yields than rival autoflowering varieties. Ideal for SOG and SCROG setups, the plant grows between 60 -120cm, and finishes flowering in only 65 days from seed indoors. Thanks to its branchy nature and multiple bud sites the plant packs on some serious size later in flowering. The nugs become dense and hard and produce remarkable amounts of resin. Growers can yield up to 450g/m², making it a viable option for commercial and domestic growers.THC Bomb Auto is a classic in the making; a fast finishing, super potent, autoflowering white strain.